A few of the more astute readers will remember our article on the classy and classic Ferrari 365 GT 2+2. That car had carburetors, (lots of them, actually) lap belts and an airbag-less steering wheel made of real wood. 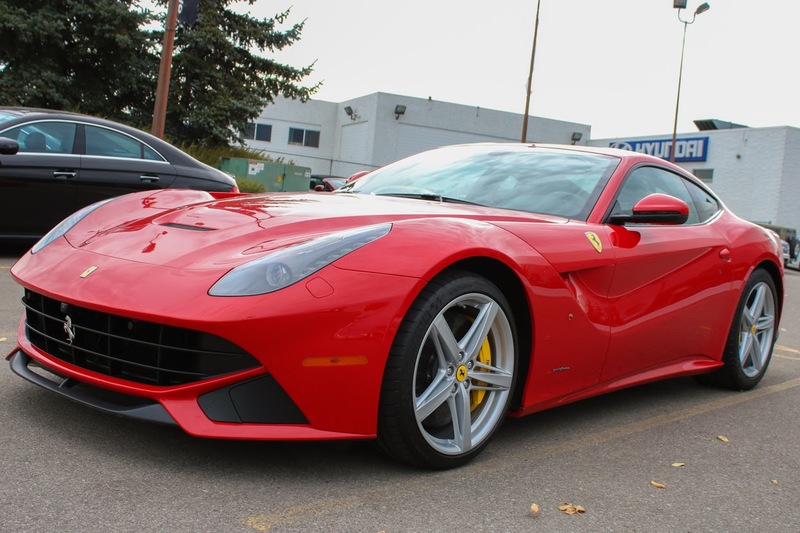 There are plenty of differences between that car and today’s featured 2013 Ferrari F12 Berlinetta but there are two huge similarities: The engine is in the right place (In front of the driver) and it has the correct amount of cylinders for a Ferrari. 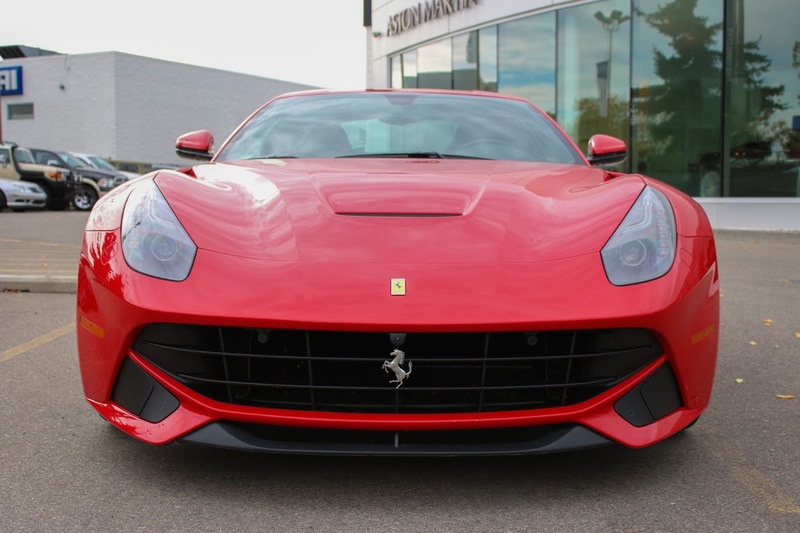 That’s right, underneath the F12’s long and intricately sculpted hood lies a 730 horsepower 6.3 liter V12. This is also currently the fastest and most expensive Ferrari you can buy new. Not that you could actually buy one even if you coughed up the staggering $315,900 (USD) required to buy one of these sneer faced Fezzas. That’s because Ferrari only made a few hundred of them and in 2013 and they all sold out faster than free Justin Bieber tickets in an all girls middle school. So the F12 is the top dog Ferrari until the hideously ugly and sacrilegious controversial Ferrari LaFerrari comes out. 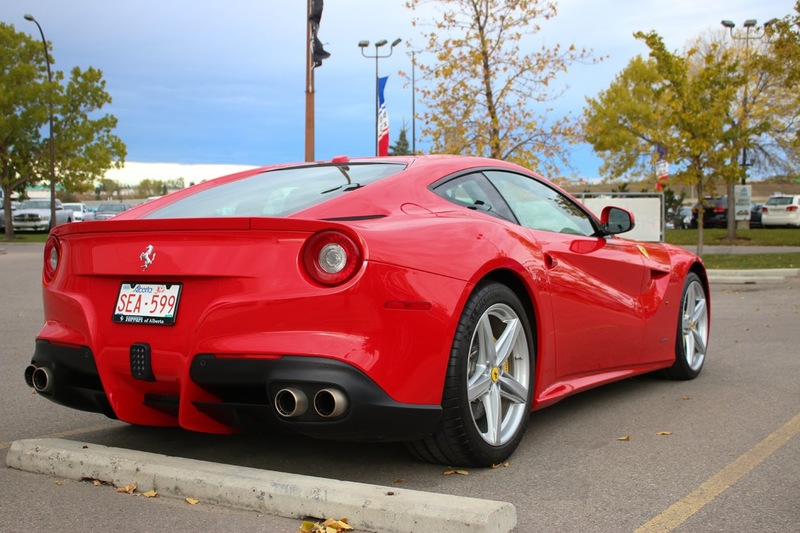 Technically speaking, the F12 is very impressive. 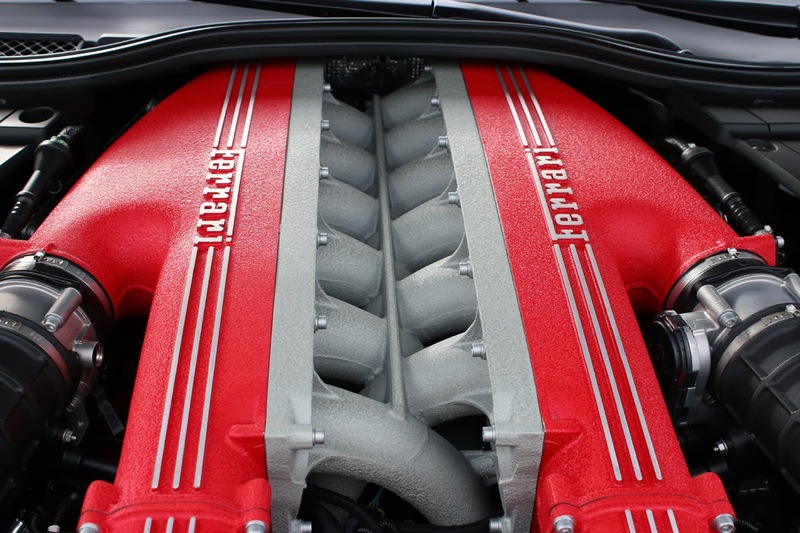 Its naturally aspirated V12 makes fierce sounds and incredible power at a stratospheric 8,250 RPM. It’s seven speed transmission shifts with superhuman speed and precision. The entire car lives on a perfect 50/50 weight split fore and aft and road holding is enough to make your neck sore. It must be an odd feeling knowing that you’re never more than 3.1 seconds away from 60 MPH. But the sad fact is that this car is not made for mortals like you and me. The world shrinks around you in a car like this. Typical freeway on-ramp exuberance will have you at 120 MPH by the time you’ve merged. You can’t enjoy sharp twisty roads in a car like this. It would feel bored and under taxed for any driving under the speed limit. This is not a car to make you happy as you link ‘S’ bends together; it’s a made to impress with its numbers; namely, horsepower, cost and acceleration figures. 2. No more automatics. Would you put paddle shifts in a 250 Lusso? Exactly. 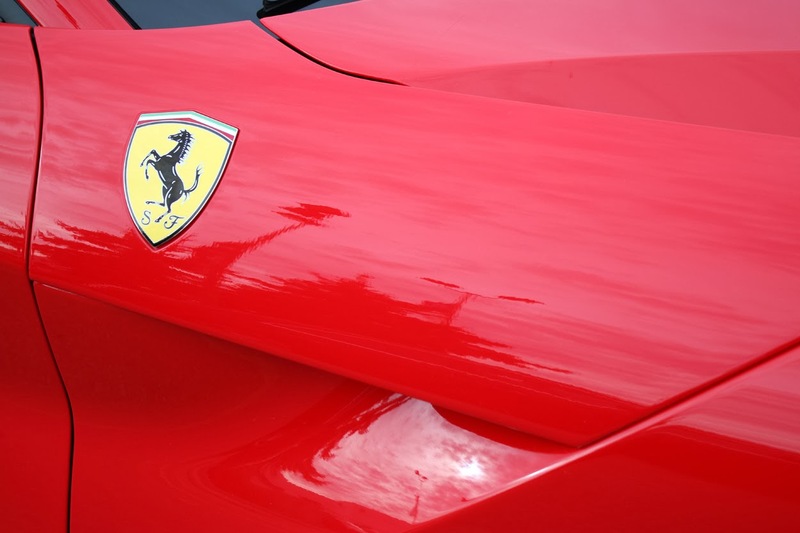 Ferraris are glorious machines and we should be more involved in their interface. 3. ABSOLUTELY no electric hybrid or hybrid assists. Come on guys. 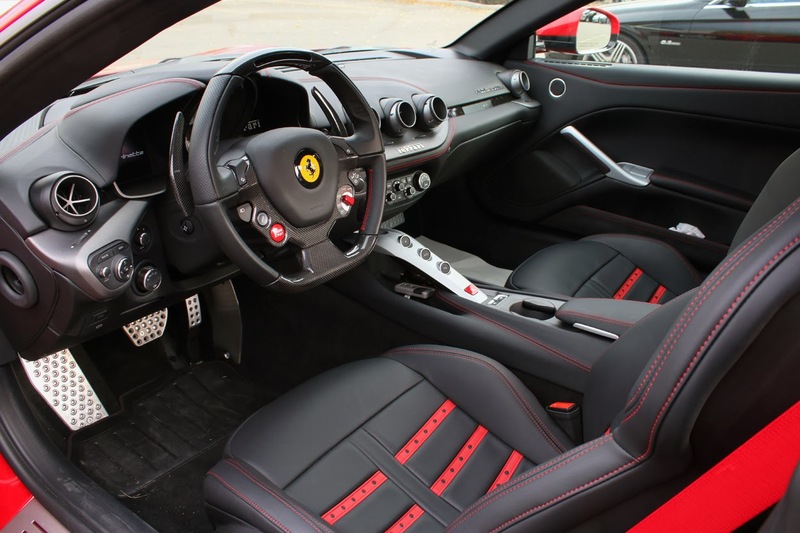 Driving a modern Ferrari is a lot like riding a giant rollercoaster. The technology and construction behind it is amazing and the speed is exhilarating but the fact is, all that engineering is what’s keeping that coaster from falling out of the sky, not you. Simply by being a normal sized human with normal reaction times, you are the slowest element in a new Ferrari. A sports car should make you feel like you’re an integral part of the driving experience. 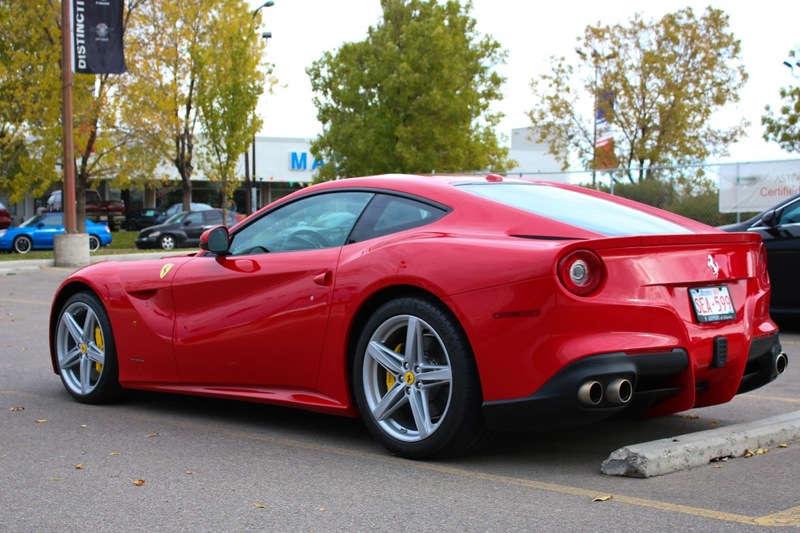 And sadly, as fast as it is, there are cars that do it much better than the F12.